First of all, if you are going for a brunch recipe that involves bread, then you’re going to need to get the good stuff. And by that I mean Sourdough. I could literally live off the stuff forever! I was very kindly (and generously) sent this huge hamper of different Sourdough bread from Gradz Bakery. Their delicious artisan bread is hand-made in London and contains no starter-mix or baker’s yeast, which means that the bread itself is actually easier to digest. After carefully testing each one of their loaves out, I can safely say that it has passed the brunch approval test! So here are a few brunch toast inspo ideas using the yummy Gradz bakery sourdough bread – which if you would like to try out yourself you can now buy Gradz bread from Ocado. I couldn’t do brunch toast without featuring avocado… Avocado is literally the meaning of brunch! This is such a yummy and quick toast idea as you can have it easily prepped and ready to devour in less than five minutes. I would also definitely recommend adding a few chopped cherry tomatoes on top… YUM! And if you want to go that little bit further, a poached egg is a very welcome accompaniment. Ok, so this is just a posh version of your basic scrambled eggs. This brunch toast idea is definitely one of my favourites as I just can’t seem to get enough of asparagus at the moment, so have basically been having it with every meal! Then topped with chopped bacon on top it gives it a little more mmmm. If you give some chopped sun-dried tomatoes, basil and olive oil a little mix and then spread it over your toast, you have got a winning combo. 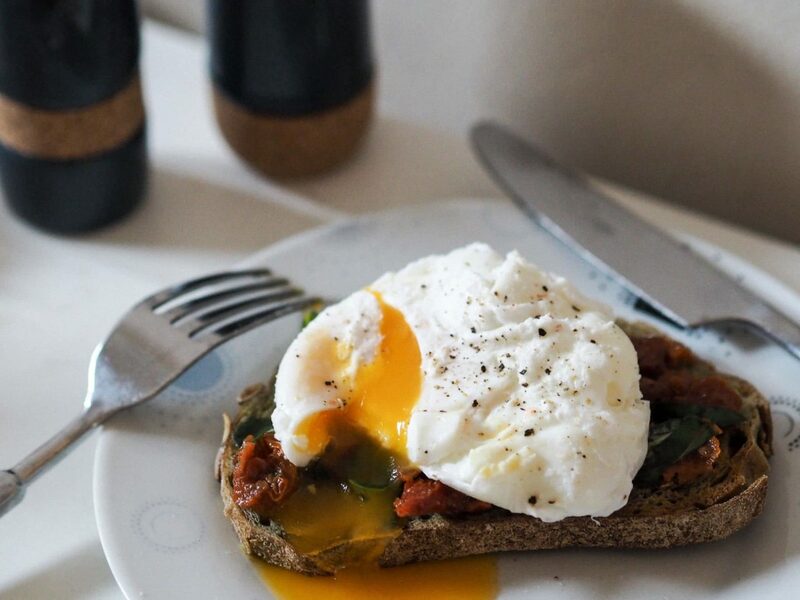 Then just add a poached egg on top and your perfect brunch toast is complete! I recently came across Meridan Coconut and Almond butter, and being obsessed with everything coconut flavoured, I had to try it. It is just so delicious and spread on toast, even more so! What’s more, it is a really healthy alternative to your normal buttery spreads. I like to also give a little drizzle of honey on top to make it even sweeter. Let me know if you have any good ideas for brunch toast! *I was kindly gifted a lovely hamper of different loaves of bread from Gradz bakery to try. Yes, they are absolutely delicious, and yes that is 100% my own, honest opinion! This post also contains affiliate links.